The Asian Infrastructure Investment Bank (AIIB) and Asian Development Bank (ADB) are to co-finance a road project in Pakistan, their first collaboration. Both banks will provide US$100mn for the initiative, with the ADB acting as lead financier, administering both debt portions as well as a US$34mn grant from the UK Department for International Development (DFID). The project has been long mooted, with GTR reporting the detail in April. The Manila-based ADB has now confirmed the structure of the deal. 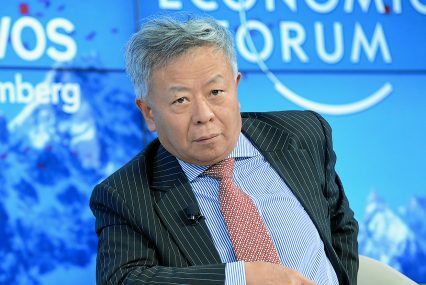 Senior officials at both organisations have tried to play down any suggestion of rivalry between the two since the AIIB’s inception, despite how it has been framed in the press. China is the largest shareholder in the AIIB, having launched it after being a peripheral player in the US and Japan-backed ADB. Thus, it is widely viewed as a means of tightening China’s influence in Asia Pacific and a direct rival to the ADB. The ADB president Takehiko Nakao, however, continues to see the development banks as complimentary. Both the ADB and AIIB have been active in Pakistan of late. China has pledged US$46bn for projects along the China Pakistan Economic Corridor, which will include transport infrastructure, power plants and deep-sea ports. The overarching aim is to link China’s remote western regions up to key trade routes, extending to the Middle East. For the ADB’s part, Pakistan fits neatly into its Central Asia Regional Economic Cooperation (CAREC) corridors – a host of projects aimed at boosting trade connectivity among underdeveloped Central Asian nations. This particular project is “a key part” of CAREC, the ADB said in a release. It will construct a four-lane, 64km stretch of motorway connecting the cities of Shorkot and Khanewal in the Punjab province.